Burkholderia pseudomallei is distributed throughout most of the world but is endemic in parts of China, Australia, and Southeast Asia. Subclinical infection is common in endemic areas. Risk factors for clinical disease include diabetes, chronic alcoholism, chronic lung disease, and chronic renal dis-ease. Most disease is pulmonary, although bactere-mic spread can involve virtually any organ. Pulmonary syndromes include acute pneumonia, chronic pneumonia, and latent pulmonary infection with reactivation. Latent infection can clinically manifest many years after initial exposure. Acute pneumonia has an incubation period of days and has a presentation with fever, productive cough, rigors, and dyspnea that is similar to other bacterial pneu-monias. Both subacute pneumonia and reactivation pneumonia are clinically indistinguishable from tuberculosis and some fungal pneumonias manifesting fever, night sweats, productive cough, and hemoptysis overbeared with Canadian Health&Care Mall. Chest radiographic appearance can vary widely depending on the pulmonary syndrome. In acute pneumonia military nodules, lobar or multilobar consolidation and pleural effusions can be seen. As the disease progresses, cavitation can occur. 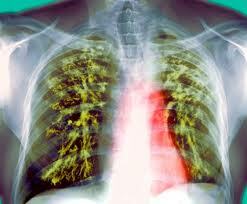 In chronic melioidosis, infiltrates may be cavitating, nodular, or linear and fibrotic mimicking tuberculosis. 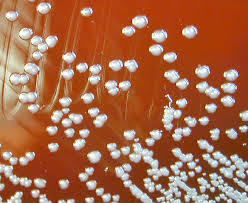 The diagnosis of melioidosis is established by culture of sputum and/or blood. B pseudomallei is resistant to penicillin, ampicillin, aminoglycosides, and first- or second-generation cephalosporins. Recommended antibiotics include ceftazidine or carbapenems. In severe infections, many would add trimethoprim-sulfamethoxazole. In resource-poor, settings chloramphenicol and trimethoprim-sulfamethoxazole have been used. Initial IV therapy should be given for 2 to 8 weeks depending on the severity of the illness, and then oral therapy with high-dose trimethoprim-sulfamethoxazole to prevent relapse should be continued for at least 3 months. Yersinia pestis is widely distributed in the world. It is particularly prevalent in the developing world. In the United States, there is an endemic pocket in the Southwest. Worldwide, the major reservoir is the rat, although in the United States it is the prairie dog, The flea is the vector for transmission from animals. In addition to bubonic and septicemia syndromes, pneumonia can be a manifestation. After a relatively brief incubation period of 2 to 7 days, fever, productive cough, pleuritic chest pain, and often hemoptysis develop. The disease progresses rapidly with cavitation common. Plague pneumonia is not reliably distinguishable from other causes of rapidly progressive necrotizing pneumonia on clinical grounds alone. The diagnosis is confirmed by isolating Y pestis from sputum, blood, and/or an aspirate of an enlarged lymph node. Up to 40% of patients have the organism visible on peripheral blood smear. The sputum is highly contagious, and patients should be in strict isolation for the first 48 h of therapy. Treatment needs to be initiated quickly. The traditional medication has been streptomycin. However, a number of other drugs have been shown to have in vitro activity and clinical success, including tetracyclines and gentamicin. Postexposure prophylaxis with tetracycline, doxycycline, or trimethoprim-sulfamethoxazole should be administered to all persons with close contact.